Traditionally celebrated by many Christians throughout the world, Holy Week is 8 days of celebration and worship that focuses on the last week of Christ's life, beginning the Sunday before Easter. As I've designed it, every day includes events that happened in Christ's life on that specific day, a small activity, scriptures, songs, and something to hang on your wall. 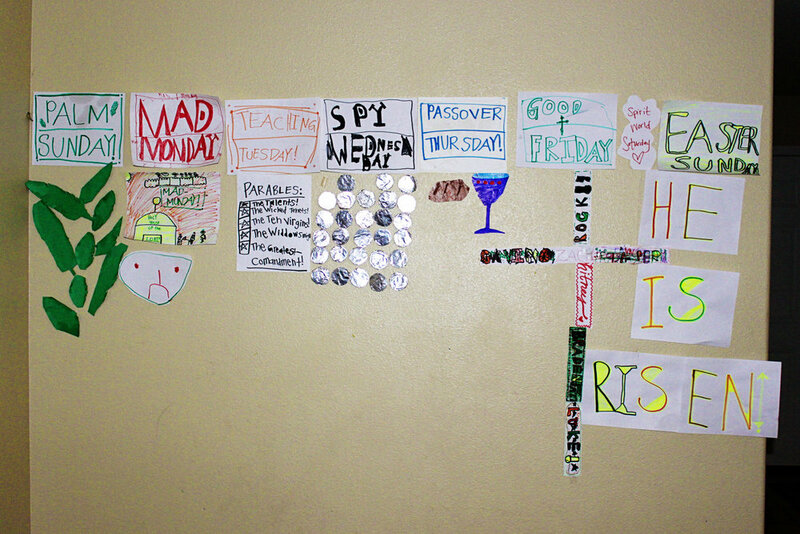 (We call it our "Holy Week Wall." More on this later.) By the time Easter Sunday rolls around, our hearts our prepared in understanding and gratitude for the Savior's atonement and resurrection. We do these activities in place of our regular family scripture study. They can be easily adapted to the age/needs of your kids. PALM SUNDAY Traditionally called "Palm Sunday," this day commemorates the Triumphal Entry of Jesus into Jerusalem. He was welcomed by a joyful crowd waving palm leaves and shouting, "Hosanna!" Scriptures: Mark 11:1-11 ; Matthew 21:1-11; Luke 19:28-40; John 12:12-19Video: The Lord's Triumphal EntrySong: Hosanna (also see hymn 69, which is a traditional Palm Sunday hymn throughout Christendom) Activity: Cut out "palm leaves" from green construction paper and role play Jesus coming into the city. (We have to do this many times so everyone has a turn to be the donkey and Jesus.) Questions for Discussion: Why do the people honor Jesus in this way? What does Hosanna mean? Ideas For the Wall: Make a simple sign (8X11) that says, "Palm Sunday" and hang the palm leaves underneath. MAD MONDAY I call this day "Mad Monday" because (according to Mark) it's the day Jesus cleansed the temple by chasing out the money changers and over turning the tables. (Note: Matthew and Luke place this event on Sunday, but for my purposes I went with Mark's timetable.) Scriptures: Mark 11:15-19; Matthew 21:12-13; Luke 19: 45-48Video: Jesus Cleanses the TempleSong: I Love to See the Temple , Come, O Thou King of KingsActivity: Set up a small table (or a chair) with stuffed animals and play money. Role play Jesus coming in and turning over the table and driving out the money changers. My kids absolutely love this, and again, we have to do it repeatedly so everyone gets a turn playing every role. Questions for Discussion: Why was Jesus upset? Is there such a thing as righteous anger? Why should we respect the temple? Where are places today that we see "money changers" or disrespect of sacred things? Ideas For the Wall: Invite everyone to draw/color a picture of their favorite temple. Make a sign that says, "Mad Monday" and hang the temples underneath. Or, draw and hang a frowny face. TEACHING TUESDAY I call this day "Teaching Tuesday" because of His teachings in the temple and the Olivet Discourse. Scriptures: Matthew 22-25, Mark 11-13, Luke 20-21, and John 12 are full of His Tuesday teaching. Here are some examples of specific teachings you could highlight: The Parable of 10 Virgins: Matthew 25:1-13 The Parable of the Talents: Matthew 25: 14-30 Parable of the Fig Tree: Mark 13: 28-31; Matthew 24: 32-35; Luke 21: 29-33 Parable of the Faithful and Unfaithful Servant: Matthew 24: 45-51 The Widow's Mite: Mark 12:38-44, Luke 21: 1-4 Ye Have Done it Unto Me: Matthew 25: 31-46Videos:The 10 Virgins, The Parable of the Talents, Ye Have Done it Unto Me, The Greatest Commandment, Render Unto God, The Widow's Mite Songs:Tell Me the Stories of Jesus, Jehovah, Lord of Heaven and EarthActivity: Each family member is assigned a different scriptural passage from this day. He or she reads the passage silently, draws a picture to illustrate the particular teaching, then teaches the rest of the family about the principle (smaller children pair up with a parent). The parables work great for this because of their story form. Or, act out a parable! Questions for Discussion: What is a parable? Why did Jesus often teach this way? Why did Jesus spend so much time teaching about the Second Coming on this day? Why/how do we need to prepare for the Second Coming? Ideas For the Wall: Make a simple sign that says, "Teaching Tuesday" and hang the illustrations underneath. SPY WEDNESDAY Wednesday is traditionally called "Spy Wednesday" because of Judas' agreement to betray Jesus. Scriptures: Mark 14: 10-11; Matthew 26: 14-16; Luke 22: 3-6 Songs: If the Savior Stood Beside Me Activities: Cut out 30 pieces of "silver" (tinfoil). Questions for Discussion: Why do you think Judas decided to do this? Are there ways that we betray Jesus in our own lives? What choices do we make when no one is looking? How can we be better disciples of Christ? Ideas For the Wall: Make a simple sign that says, "Spy Wednesday" and hang your 30 pieces of silver underneath. PASSOVER THURSDAY It's Passover! The day of the Last Supper and the Garden of Gethsemane. Scriptures: Matthew 26; Mark 14; Luke 22; John 13-18Videos: The Last Supper, Gethsemane, MORE at this link (also fun to watch Prince of Egypt to get in the Passover spirit) Songs: The Sacrament, Reverently and Meekly NowActivity: For this day, we have a kid friendly "passover meal." Grape juice (for wine), pita bread (for unleavened bread), horseradish (for bitter herbs), and a few other foods that may have been on the table at passover: HoneyComb cereal (for honey comb), fish (sticks), hard boiled eggs, raisins (or figs), and olives. (Cooking lamb is a little out of my comfort zone, so I usually just set a stuffed lamb on the table...) Questions for Discussion: What is the passover and why do Jesus and the apostles observe it? 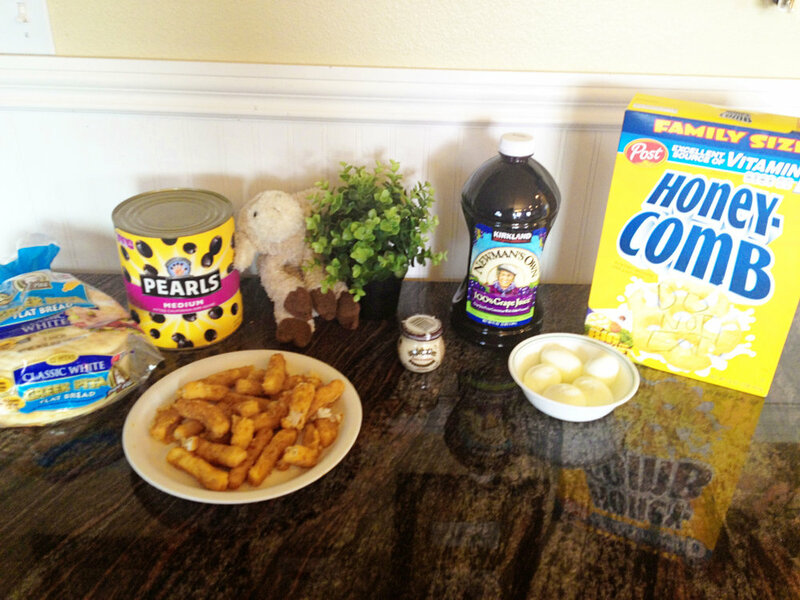 What do the different foods represent? What is the connection between the passover and the sacrament? What happened in the Garden of Gethsemane? Ideas for the Wall: Draw and color a simple wine cup and loaf of bread to represent the sacrament. Or, glue cotton balls onto a simple picture of a lamb. SPIRIT WORLD SATURDAY I call this day "Spirit World Saturday" because this was the day Jesus taught in the spirit world. Scriptures: 1 Peter 3:18-4:6; D&C 138Video: Jesus Visits the Spirit WorldSongs: Family History, Turn Your HeartsActivity: We love to visit an LDS temple on this day. Older children can do baptisms for the dead and younger children can walk around the temple grounds and visitors center or help index names for the temple. If this is not possible, or if you are not of the LDS faith, you could share family history stories, write in your personal journals, or visit graves of deceased loved ones. Questions for Discussion: Why did Jesus teach in the spirit world? Why is family history work and temple work important? How can our family participate in this work? Ideas For the Wall: Make a simple sign that says "Spirit World Saturday" and color or hang pictures of your family or ancestors. EASTER SUNDAY Our favorite day! The day Jesus was resurrected and rose from the tomb. Scriptures: Matthew 28; Mark 16; Luke 24; John 20Videos: Jesus is Resurrected, He is RisenSongs: I love too many...here are some favorites: Did Jesus Really Live Again?He Is Risen, That Easter Morn, Christ the Lord is Risen Today (I also like to play Handel's Hallelujah chorus to wake my kids up in the morning, much to their dismay.) 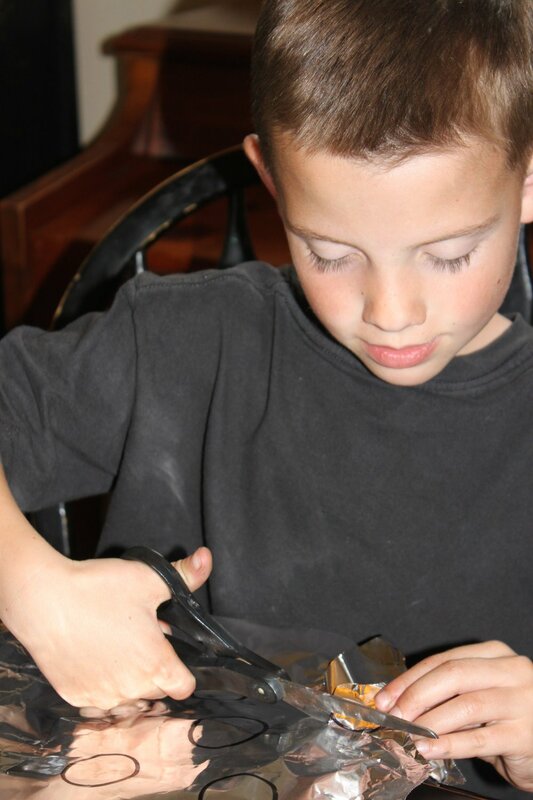 Activity: Give your children "Jesus Baskets" instead of Easter Baskets. Everything in a Jesus Basket points to Christ. Our kids absolutely love these. Questions for Discussion: What does the resurrection have to do with YOU? Why are you grateful for the resurrection? Ideas For the Wall: Make a simple sign that says, "Easter Sunday" and hang a picture of the resurrected Jesus underneath (check your old Ensign magazines!). Walking with Christ through the last week of His life will bring new joy and meaning to your Easter worship, AND it may just become your new favorite holiday. Happy Holy Week!